Finding Greatness: A strong interest in a law-enforcement career and community service led Shanya Kadian to MGA's bachelor's degree in Criminal Justice. Family: "My older sister Kelly has taught me to never give up. She is brilliant, tenacious and a person with the most kindest of hearts. Kelly has always been my role model and even on her worst days always has time to hear my problems and help me find solutions." Employment: "I am a lifeguard at the Recreation and Wellness Center on the Macon Campus. This will be my second year and the staff members I work with are absolutely terrific. When I am not working at the Wellness Center, I work as a substitute teacher for Bibb County Schools." Career Goals: "I enjoy the outdoors, so my ultimate goal is to become a game warden or conservation ranger. Those are the people in law enforcement who are responsible for managing natural resources and wildlife and ensuring that people engaged in hunting, fishing and trapping are following state laws and hold valid licenses." 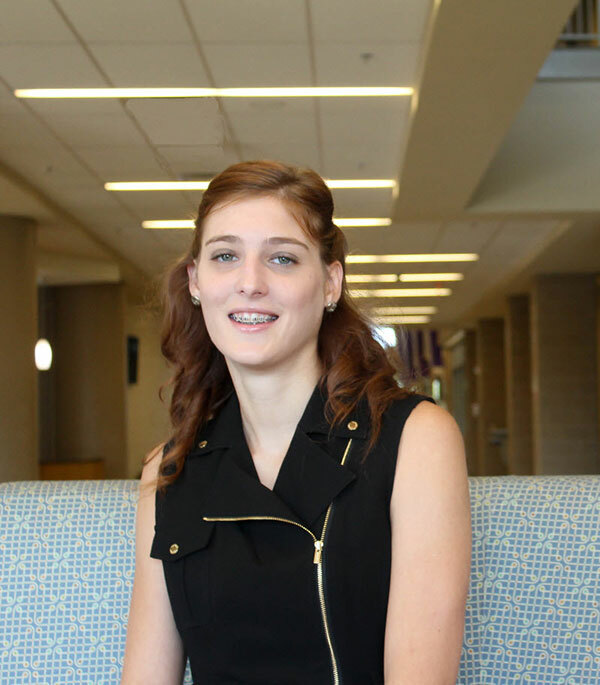 She chose Middle Georgia State University because … "MGA has the degree I wanted to pursue. The online classes are great for students like me who need to work full-time. And the Macon Campus is exquisitely beautiful!" The greatest thing she discovered about Middle Georgia State was ... "The small class sizes and the advantage of being able to get one-on-one assistance from professors. Also, the Macon Campus offers a magnificent wellness center and plenty of great places outside where students can study and enjoy the fresh air." Her greatest academic experience so far as a Middle Georgia State student has been … "The internship/capstone course required to complete a bachelor's degree in Criminal Justice is awesome! I was able to get real-life experience and guidance in the field of law enforcement." To her, greatness means … "To set and complete goals and also go for things you think you can only dream about. Greatness means to persevere though all of life's hurdles, learning from those experiences and passing on that knowledge on to others." People would be surprised to know ... "I enjoy assisting my 82-year-old grandmother with her gardening on Sundays. Digging in the rich soil, planting and watching things grow with someone you love is so calm and peaceful. Life is short. We should enjoy every moment with those who mean the most to us." In five years ... "I hope to have joined a branch of law enforcement and have my career well underway. I also want to be giving back to the community by coaching recreational sports for kids and working with an organization like Historic Preservation Society or Weed and Seed program."